If you've tried one dish that hails from Vietnam, it's most likely Pho. Made with rice noodles, the beef noodle soup is a must-try on the streets of Vietnam -- not to mention readily available overseas. But there's much more to Vietnam's diverse noodle scene than this familiar food. "What I love about the variety of Vietnamese noodle dishes is that while they may have some crossovers in ingredients and herbs, they often have totally different compositions, and certain ingredients that truly make each noodle dish special," Mark Wiens, a "full time travel eater" who runs the Migrationology food travel blog said. Bún riêu is a meat or seafood vermicelli soup with a distinctive crimson color. The broth gets its appearance from tomato paste and annatto oil, made from achiote tree seeds. Freshwater crabmeat and blanched tomatoes are the soup's star players. Tamarind paste lends sourness to the broth, while airy bits of fried tofu contribute crunch. 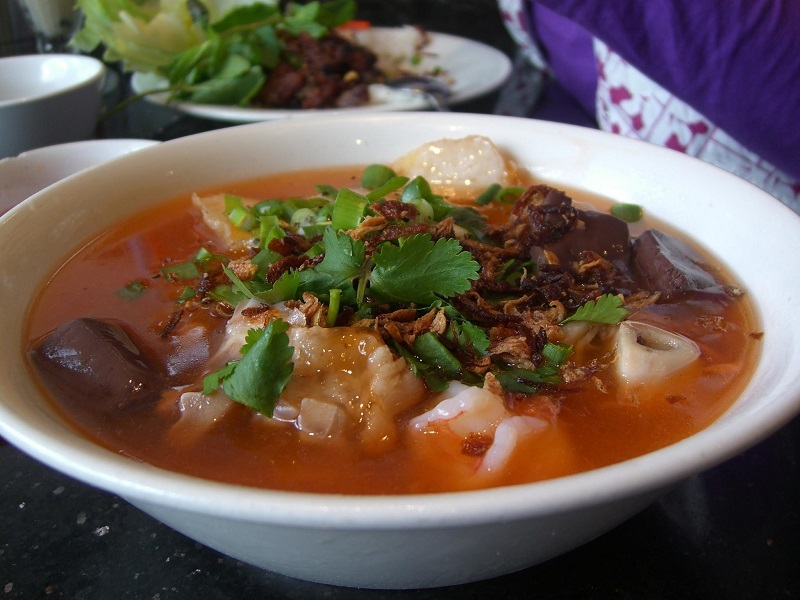 Depending on the region, bún riêu might also come topped with beef, pork, snails or fish. Vermicelli noodles swim in the soup, adding balance to a dish that's both colorful and light. Add to that the requisite plateful of lime wedges, chili and greens -- like banana blossoms and mint -- and you have a perfect meal. 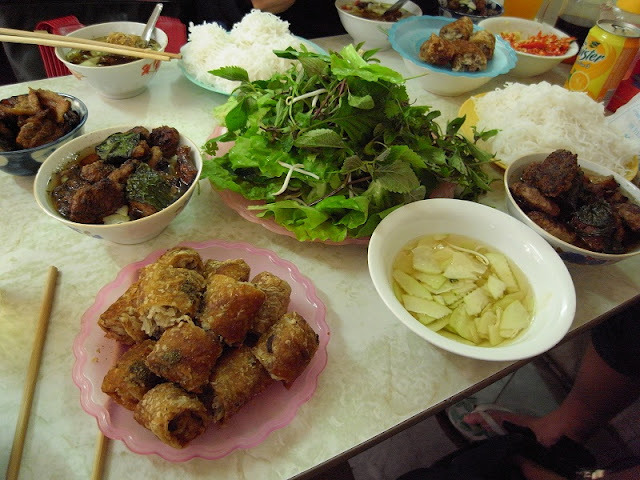 Bún chả is a local lunchtime obsession in Hanoi. 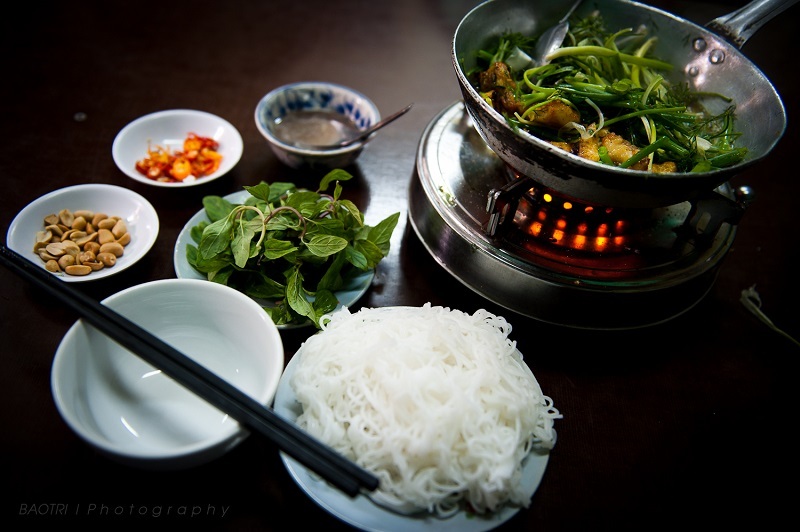 A cold noodle dish, bún chả features hunks of charcoal-grilled fatty pork -- cha -- bathing in a blend of the ubiquitous fish sauce, vinegar, lime and sugar. 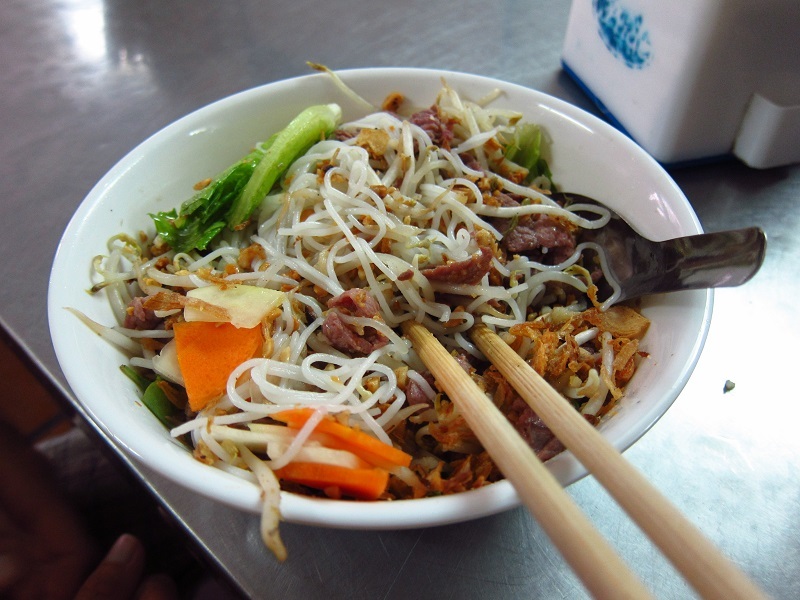 Vermicelli noodles, fruits and veggies, such as carrots and green papaya, accompany the glorious pork. Plus, it's a meal fit for a president. Vietnam's central region is known for fiery, sinus-clearing specialties, like this spicy soup named after the country's ancient capital city, Huế. Despite the area's notorious desert-like heat, every morning you'll see locals slurping up the thick rice noodles and cuts of braised beef swimming around inside the lemongrass-scented broth. For the adventurous eater, congealed cubes of pork's blood add a distinct minerality, which contrasts nicely with the refreshing crunch of shaved banana blossoms. More than a century old, Cha Ca La Vong restaurant is so good an entire street in Hanoi is named after it. 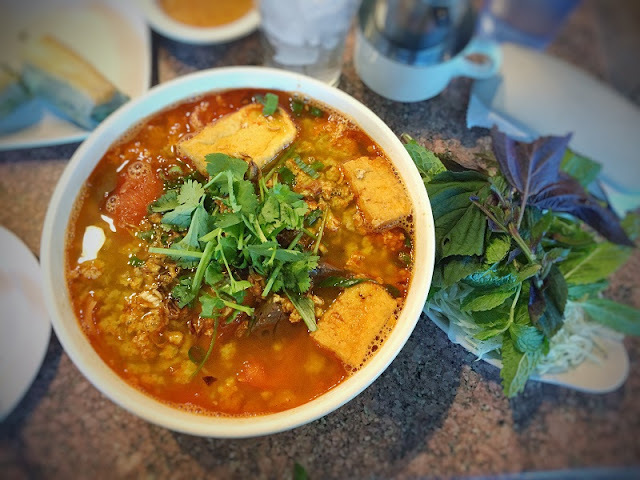 The humble two-story cafe is famous for its chả cá: chunky cuts of tender grilled catfish, or basa, that's been yellowed by turmeric and seasoned with dill and shrimp paste. Pack your passport—and an appetite—as we hit the world's hottest culinary destinations on and off the grid all month long. Now Boarding: your next trip to Vietnam.